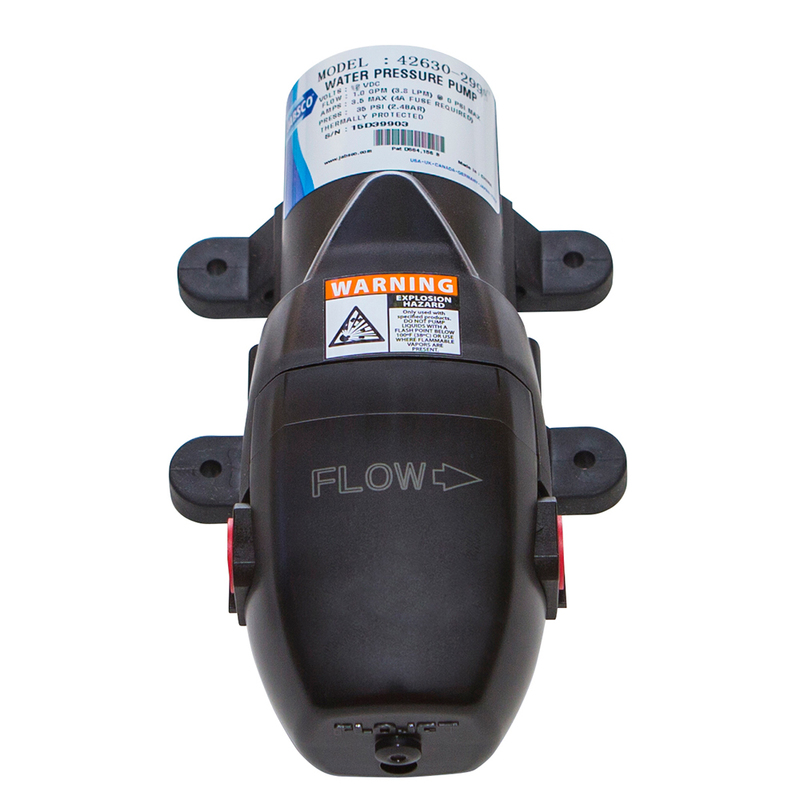 The Jabsco Par-Max 1 series pumps are available as automatic and manual demand pumps. They will automatically turn on when a fixture is opened and turn off when all fixtures are closed. The pump is a manual demand pump for use with an electric faucet. When starting up an automatic demand pump with a completely dry system, allow time for the demand pump to fill the system. Open a faucet, allow air to vent and close faucet when water flow is steady. Faucet strainers and aerators should be cleaned regularly.